Place the nuts, seeds, prunes, protein powder and cocoa into a food processor bowl and process until the mixture is finely chopped. Add the orange juice and vanilla and process until the mixture forms a moist ball-like mass. 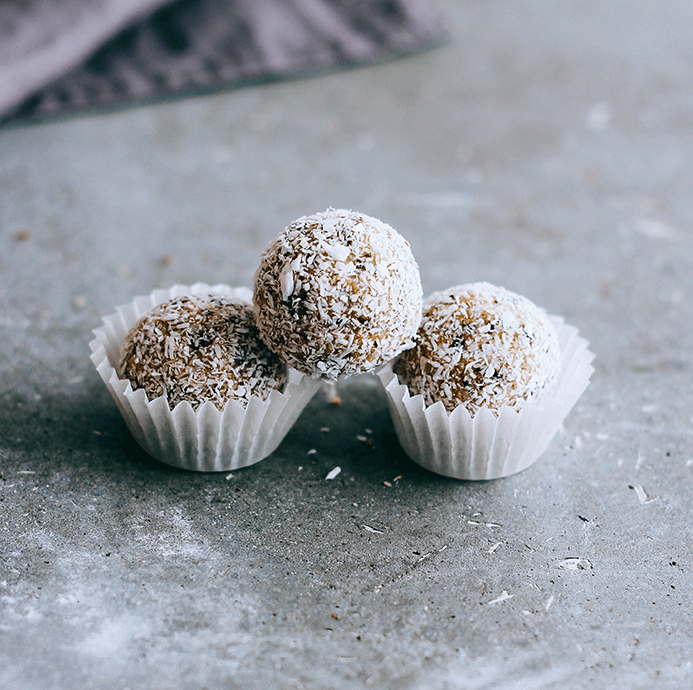 Make balls by using a level tablespoon of mixture then rolling into a small ball. Ideally refrigerate to chill and firm for 1 hour. Per serve: 448kj (107 cal), 3g protein, 3g carbs, 2g sugars, 9g fat (2g sat), 2g fibre.